Do Veneers Protect Teeth from Cavities? Are you thinking about getting veneers and looking for a little more information about them? The more you understand about any cosmetic dental procedures you are thinking about getting, the higher your chances are of experiencing success with them. For example, while getting dental veneers is a common choice amongst those who are looking to improve the way they look when they smile, they are often not recommended for those who have been diagnosed with bruxism. 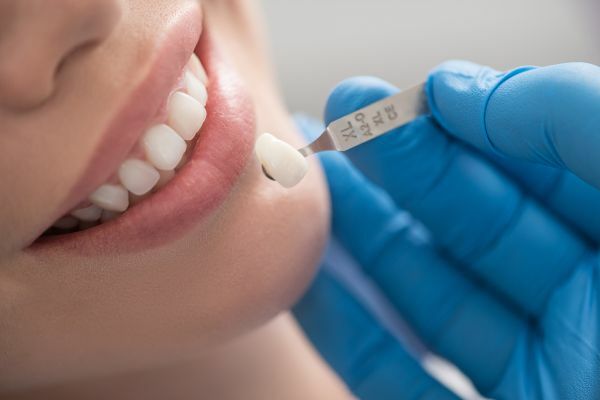 In order for you to understand whether or not dental veneers are going to be a good fit for you, it is necessary for you to make a consultation appointment with a dental professional. Attaching veneers to one's teeth is a common cosmetic dental procedure that can correct a variety of cosmetic dental issues. They are usually made up of thin porcelain shells that are attached directly to the front of a tooth in order to improve its appearance. Because they are so thin and natural-looking, they are able to hide cracks and chips in the teeth and can even be used to make teeth appear straighter. An experienced dentist will carefully discuss all of the options available to each individual patient so that they completely understand their choices when it comes to improving their smile. While everyone understands how important is for them to brush and floss their teeth every single day, not everyone understands how cavities are formed. Cavities are formed when plaque is allowed to build upon the teeth over a period of time. Plaque is a natural occurrence that happens when bacteria in the mouth, along with any sugars and starches from foods eaten, stick to the teeth. There are acids within the plaque that will start to eat away at and eventually dissolve a tooth's enamel, making it necessary to remove the plaque as soon as possible by brushing the teeth. Once a tooth's enamel is jeopardized, it is often only a matter of time before a cavity forms. No, veneers do not protect teeth from getting cavities. When someone gets veneers on one or more of their teeth, they need to provide care for their veneers just like they would their regular teeth. If proper brushing and flossing are not performed, then it is definitely possible for someone to be diagnosed with a cavity even though they have veneers on their teeth. Are you ready to get veneers? Have you decided that veneers are the ideal option for you? If you are ready to improve the way you look when you smile because you have one or more imperfections in your front teeth, then making a consultation appointment is your next step. Just imagine how confident you will feel when smiling once you have had any cosmetic dental issues corrected. Talk to one of our dental health professionals today. Are you considering veneers in the Santa Ana area? Get more veneers information at https://www.brightsmilesantaana.com. We are committed to providing quality healthcare to families located in the Santa Ana area and treat patients of all ages. Copyright © 2019 All Rights Reserved Bright Smile Dental.